For most users, it's tough to beat the performance and value of Ocean Potion Protect and Nourish Lotion sunscreen. For kids, Pure Sun Defense Lotion is a winner, and a bargain. We also name top sunscreens for facial use, as well as a natural sunscreen that provides chemical-free protection. 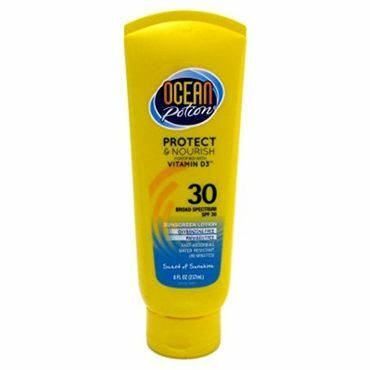 Ocean Potion Protect and Nourish Lotion SPF 30 does just about everything right, reviews say. It's one of only a handful of sunscreens that live up to their SPF claims and deliver very good or better protection against UVA and UVB rays in a leading independent test. It's water-resistant for 80 minutes, reasonably priced, and it earns a better safety score from the Environmental Working Group than most chemical sunscreens. Users rave about this light lotion's scent, too. You'll find Pure Sun Defense Lotion SPF 50 on many drugstore shelves. The tubes come decorated with kids' favorite characters (Star Wars, Frozen, Minions, Captain America and more) -- and inside, you'll find a kids' sunblock that aced a major test. It brilliantly blocks both UVA and UVB rays, delivering true SPF 50 protection, and it's water-resistant for 80 minutes. It's fragrance-free, too, to avoid irritating kids' skin. Sheer, velvety and extraordinarily effective against UVA and UVB rays, LaRoche-Posay Anthelios 60 Melt-in Sunscreen Milk is the ideal face sunscreen, reviews say. Users love that it's fragrance-free, plays well with makeup and doesn't break them out, making it perfect for everyday use -- and it's water-resistant for 80 minutes, so you're covered at the beach or pool, too. SPF 60 is a hefty claim, and this sunscreen delivers. Natural-sunscreen enthusiasts swear by Blue Lizard Australian Sunscreen SPF 30+ Sensitive. The paraben- and fragrance-free formula uses zinc oxide and titanium dioxide, physical sun blockers that sit on top of the skin and reflect the sun's rays instead of soaking in and absorbing them, like chemical sunscreens. Ingredient-wise, this is one of the safest sunscreens you can buy. It's not water-resistant, though, and according to a leading test, physical sunscreens don't protect as well against UVA and UVB rays as chemical sunscreens. Chemical sunscreens are the most common type of sunscreen, and they make up the majority of products from well-known manufacturers including Banana Boat, Coppertone and Ocean Potion. Chemical sunscreens mix and match different blockers to absorb UV rays and release the energy, preventing most of the rays from reaching the skin. Chemical sunscreens have a lot going for them: They are readily available on store shelves, can be relatively inexpensive, are easy to apply -- and they work better than "natural" sun blockers like zinc oxide, ConsumerReports.org tests reveal. However, some have raised concerns about their safety; see below for more information. Many sunscreens are advertised specifically for babies and kids. However, the only differences between these and adult sunscreens are that many (but not all) kids' sunscreens omit fragrances and rely on physical sun blockers -- zinc oxide and/or titanium dioxide -- instead of chemicals such as oxybenzone. For that reason, they may take a little more effort to rub into skin, because they sit on top of the skin to block UV rays as opposed to absorbing the rays the way chemical sunscreens do. Beware: specially formulated kids' sunscreens can be quite pricey, and the natural ones aren't as readily available on store shelves. Some people prefer not to use sunscreen on their face because it can be thick and greasy, or because it may run into their eyes and sting. The best face sunscreens, however, are thinner, lighter and won't run, no matter how much you sweat or get wet. Many face sunscreens also contain a moisturizer and can be layered under makeup for everyday wear. Unfortunately, specially formulated face sunscreen can also be expensive compared to regular sunscreen. For everyday wear, you might be better off with a facial moisturizer that includes a sunscreen; we cover those in a separate report. Natural sunscreens, also known as physical sunscreens, use minerals (zinc oxide or titanium dioxide) as their active ingredients. These minerals form a protective layer on the skin that blocks and reflects the sun's harmful rays. These are considered "safe" sunscreens by the Environmental Working Group (EWG), which tracks the risks of skincare ingredients, because they don't penetrate the skin or disrupt hormones in lab studies. Unfortunately, experts have found that they don't work as well as chemical sunscreens. Another downside is that physical sunscreens can often be difficult to rub in, and they sometimes leave a white or greasy residue. Natural sunscreens aren't as common on store shelves as their chemical counterparts, and they're often more expensive. Some groups have raised health concerns about the safety of ingredients commonly used in sunscreens, particularly chemical sunscreens. Those ingredients include UV filters such as oxybenzone and octinoxate, synthetic preservatives called parabens, and a form of vitamin A called retinyl palmitate. Oxybenzone kills coral reefs, research shows, and the U.S. National Park Service urges people to use non-chemical, "reef friendly" sunscreens. But whether these ingredients are actually harmful to humans is still very much up for debate. Most experts, including the American Academy of Dermatology, say there's no concrete evidence that these ingredients cause real health problems in humans, and the downsides of not using sunscreens -- including sunburn and an increased risk of cancer -- are well established. If you are still concerned, natural sunscreens, as well as some sunscreens intended for children, avoid these chemicals in favor of natural sun blockers. The downside is that these products are generally judged to be not as effective, and many are relatively pricey. To find out which sunscreen protects the best -- without leaving you looking greasy or ghostly -- we considered both expert tests and user testimony. We found only one expert review, by ConsumerReports.org, that tests how well sunscreens actually protect against UVA and UVB rays. Other hands-on tests judge sunscreens by their look, smell and texture. User reviews posted at retail websites reveal how easy and pleasant a sunscreen is to use, and how well it works anecdotally. Think all SPF 30+ sunscreens work equally well? Think again. When ConsumerReports.org tested 65 popular sunscreens with SPF ratings of 30 or better -- including the big name-brand ones you'll see on any drugstore shelf -- about one in three failed to deliver even half its stated SPF (sun protection factor). And SPF only measures protection against UVB rays (the kind that burn you and cause many skin cancers). There's no law requiring sunscreen labels to reveal how well they protect against equally damaging UVA rays, and in ConsumerReports.org's tests, eight of the sunscreens managed only fair or poor UVA protection. Bottom line? Don't just trust SPF numbers. "If you put too much faith in them, you could be putting your skin at risk," ConsumerReports.org says. While Ocean Potion Protect and Nourish is a chemical sunscreen, its ingredients are considered pretty "safe" by the Environmental Working Group. This Ocean Potion sunscreen scores a 3 on EWG's 10-point risk scale (1 being the safest). Its active ingredients -- avobenzone, homosalate, octisalate and octocrylene -- all score 4 or lower. It's free of oxybenzone and retinyl palmitate, the two sunscreen ingredients EWG finds most worrisome. It's also fairly pleasant to use. Testers say it films the skin lightly -- no white or greasy residue. The "scent of sunshine" fragrance is largely a hit, too, with some users describing it as reminiscent of an orange-vanilla creamsicle. It's a customer favorite at Amazon.com, earning 4.6 out of 5 stars with 175 reviews posted. Walmart.com customers love it, too, awarding it 4.4 stars over 30-plus reviews. In fact, any complaints are usually the retailer's fault (like shipping the wrong item, or putting annoying stickers on the bottle). Users overwhelmingly love the sunscreen itself. Finally, it's not expensive. This is just an added bonus, because Ocean Potion is the best-reviewed sunscreen we found, period -- at any price. But it's important, because experts say you need a full ounce of sunscreen (a generous palmful) to cover your whole body, and you must reapply every two hours or after swimming. With a reasonably priced sunscreen, you won't be tempted to skimp. If you prefer a spray, Banana Boat SunComfort Clear UltraMist Spray SPF 50+ (Est. $8 for 6 oz.) is your best bet. Like our top pick, this Banana Boat spray is water-resistant for 80 minutes, and it faithfully delivers its true SPF, offering excellent protection against both UVA and UVB rays in tests -- if it's applied correctly. But that's a big "if." A quick, no-rub spritz won't cut it, ConsumerReports.org says. You still need to apply a full ounce of sunscreen -- but that can be hard to do with sprays. The wind can blow them away, and it can be hard to see exactly where or how much you've applied. In addition, spray sunscreens are flammable, even after they've dried on your skin, so must keep your body away from open flames, sparks and ignition sources, the FDA warns. In fact, the FDA says people have suffered "significant burns that required medical treatment" after wearing spray sunscreen near a grill, a citronella candle and while lighting a cigarette. ConsumerReports.org also recommends against using spraying sunscreens directly on kids, noting that "The FDA has said it is exploring the risks of inhaling spray sunscreens." Still, if a spray sunscreen is right for you, Banana Boat's pina colada-scented spray earns good scores from most customers at Amazon.com, although a few complain that they got burnt while using it. We found similar comments at Target.com and Walmart.com (although reviews there are taken directly from BananaBoat.com). Among cheap sunscreens, No-AD Sport Lotion SPF 50 (Est. $9 for 16 oz.) is the longtime cult favorite. Hundreds of devotees at Amazon.com extol its virtues, and TheSweethome.com awarded it "best sunscreen" status based on its smell (it's fragrance-free) and non-greasy feel. It's water-resistant for 80 minutes. EWG grants it a very good score of 3 for safety, even though it does contain the chemical oxybenzone. However, it falls flat ConsumerReports.org's testing: No-AD Sport Lotion SPF 50 delivers excellent UVA protection, but only fair UVB protection, and it ekes out less than half of its claimed SPF. TheSweethome.com notes the findings, and says it'll consider them in its next round of sunscreen testing, but adds that "For now, NO-AD should still provide protection if applied liberally and frequently," as the site recommends. Since kids' skin can be more sensitive to irritating fragrances, the best kids' sunscreens skip them. Some also ditch the chemical sunscreens for physical sun blockers (zinc oxide and titanium dioxide) -- but unfortunately, those "natural" sunscreens simply don't protect skin as well from the sun, ConsumerReports.org finds. The best kids' sunscreen, according to reviews, is Pure Sun Defense Lotion SPF 50 (Est. $6 for 8 oz. 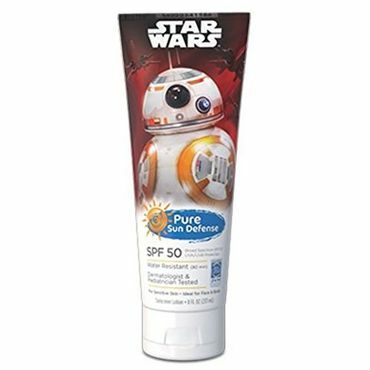 ), which comes in Star Wars, Frozen, Minions, Captain America and Mickey Mouse varieties (the better to coax impatient kids to sit still for a sunscreen application). It's water-resistant for 80 minutes, and it's one of only two kids' sunscreens that excels at shielding skin from UVA and UVB rays in ConsumerReports.org's testing, with true SPF 50 protection. Pure Sun Defense is a brand launched by actor Hugh Jackman, who had his sixth skin cancer removed in 2017. Jackman says he never wore sunscreen growing up in Australia, and he's on a mission to get kids to wear it. It earns stellar reviews at Amazon.com, Walmart.com and Target.com, although a few say it gave their sensitive-skinned child a rash. While other parts of your body usually get some coverage from clothing, your face is almost always exposed to the sun. With this in mind, sunscreen manufacturers have made face sunscreens that are thinner and easier to rub in than regular sunscreens. Many face sunscreens are suitable for daily wear under makeup, and some double as moisturizers. If you prefer a dedicated facial moisturizer with SPF, we have a separate report with the best recommendations. 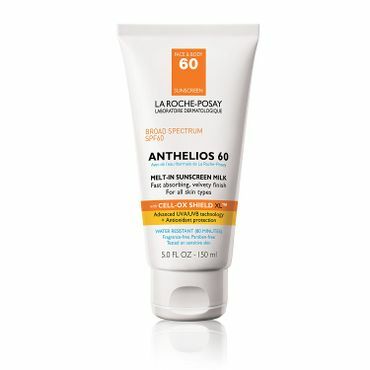 Reviewers say La Roche-Posay Anthelios 60 Melt-in Sunscreen Milk (Est. $30 for 5 oz.) is everything a face sunscreen should be: effective, lightweight and fragrance-free. It's water-resistant for 80 minutes, so it's a great choice for the pool or beach, as well as for every day use. With outstanding UVA and UVB protection, this sunscreen fully lives up to its hefty SPF 60 claim -- in fact, it's the only sunscreen to earn a perfect score in expert testing. Makeup guru Paula Begoun likes the sheer, easy-to-apply fluid and its matte finish. She does knock a star off of her Beautypedia.com rating, however, saying the sunscreen's advertised "antioxidant protection" is nearly nonexistent. Otherwise, "it would have easily made our highest rating for a sunscreen." Customers award La Roche-Posay Anthelios 60 Melt-in Sunscreen Milk high marks at Ulta.com (4.7 stars over 30-plus reviews) and Amazon.com (4.6 stars over nearly 180 reviews). Users appreciate that it's truly scent-free, hydrating and velvety, and it doesn't skin to break out. A few negative reviews complain that the sunscreen stained their clothing or towels. However, EWG slaps La Roche-Posay Anthelios 60 Melt-in Sunscreen Milk with a risk rating of 7 (out of 10). It contains oxybenzone, one of EWG's top sunscreen chemicals of concern, and EWG cites research that SPFs above 50 require higher concentrations of chemicals and lull users into a false sense of sun-security, leading them to linger longer in the sun than they would otherwise. A less expensive option, Ocean Potion Face Potion Clear Zinc Oxide SPF 45 (Est. $3 for 1 oz.) is the darling of customers at Amazon.com (4.7 stars over 180-plus reviews) and Walmart.com (4.8 stars over more than 50 reviews). It comes in a little 1-ounce pot, just like the thick, white zinc oxide lifeguards once smeared on their noses -- but this version goes on clear, with a lotiony texture. It's water-resistant for 80 minutes. Despite its name, it's not a natural, mineral-only sunscreen. Besides zinc oxide, it also contains four chemical sunscreens (octinoxate, octisalate, octocrylene and oxybenzone), plus parabens. Still, EWG awards it a relatively low-risk rating of 3 (on a 10-point scale). The formula is fragrance- and oil-free, and Ocean Potion says it won't clog pores. Most users agree that it doesn't. However, it gets mixed reviews on MakeupAlley.com; most users say it works well under makeup and is great for sensitive skin, while others say it caused skin irritation and break outs. While most experts say there's no reliable evidence that chemical sun blockers pose health risks for humans, some consumers would rather not take a chance when there's an alternative. Natural sunscreens use physical sun blockers -- zinc oxide and titanium dioxide -- that sit on top of the skin and reflect the sun's rays rather than chemical blockers that absorb them. These sunscreens are also marketed toward children and people with sensitive skin, as the ingredients pose less risk of irritation. The problem? Natural sunscreens simply don't work as well as chemical sunscreens, ConsumerReports.org has found, year after year. This year's 65-sunscreen shootout includes 16 physical sunscreens, and none protects well against both UVA and UVB rays. 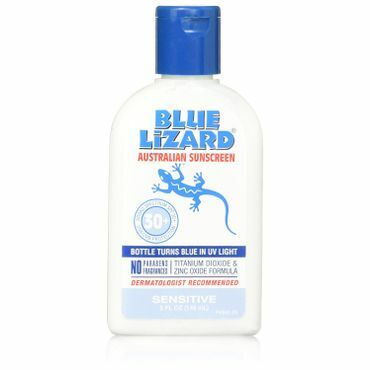 Blue Lizard Australian Sunscreen SPF 30+ Sensitive (Est. $15 for 5 oz.) isn't included in ConsumerReports.org's test. However, plenty of people swear by it: It enjoys a 4.5-star rating at Amazon.com (with a whopping 1,150-plus reviews posted), and its 90-plus reviews at Target.com are nearly all glowing. "Outstanding for use on sensitive skin of any age," writes Paula Begoun at Beautypedia.com, awarding it her highest 5-star rating. Ingredient-wise, this is one of the safest sunscreens you can buy, according to EWG. Every ingredient -- including the zinc oxide and titanium dioxide sun-blockers -- is low- or low-moderate risk. It's paraben- and fragrance-free. Overall, Blue Lizard Sensitive earns the lowest possible risk rating of 1 (on a 10-point scale). Blue Lizard Sensitive is not water-resistant. Blue Lizard does make two water-resistant versions, Blue Lizard Regular and Blue Lizard Sport -- but these contain chemical sunscreens, including oxybenzone. La Roche-Posay Anthelios Melt-In Sunscreen Milk SPF 60, 5 Fl. Oz. ConsumerReports.org is the best source for sunscreen reviews: It's the only independent source that actually tests how well sunscreens work, and it tests dozens of popular sunscreens every year (65 this year). The Environmental Working Group rates 883 sunscreens by ingredient safety, giving the highest marks to non-chemical sunscreens -- but EWG's effectiveness modeling is based on a sunscreen's ingredient list, not hands-on testing. TheSweethome.com conducts hands-on tests of 13 sunscreens, but only for smell and feel. Paula Begoun (author of "Don't Go to the Cosmetics Counter Without Me") rates more than 400 face/body and water-resistant sunscreens at Beautypedia.com -- again, based on smell, texture and ingredients -- awarding highest honors to those she says will be the most effective, least irritating and will live up to their claims. We found plenty of user feedback at MakeupAlley.com, Amazon.com and Ulta.com. Target.com and Walmart.com simply reprint reviews from sunscreen companies' own websites for some brands, but not all; when the reviews are original to the site, these can be valuable sources, too.